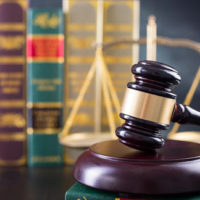 When someone suffers a bodily injury while in the midst of committing a crime, they are generally prohibited from seeking a financial recovery for those injuries. This legal principle extends to the lawsuits alleging injuries from a prescription medication or medical device. For example, if someone suffers an adverse reaction after taking someone else’s prescription drug, the injured individual should not prevail in a claim for monetary damages. Another factual scenario to be aware of is when someone suffered an adverse reaction to a prescription drug and there is evidence indicating that the plaintiff failed to read the warnings provided with the medication. Ignoring a clear and understandable warning creates an exception to the “heeding presumption,” according to Lexology.com. Basically, the heeding presumption is an instruction to a jury informing them that, had an adequate warning been provided with the consumer product, the jury should presume that the plaintiff would have heeded that warning. However, the presumption may be rebutted by introducing evidence showing that the plaintiff failed to read or look for the warning. Another scenario to be aware of is when there is evidence that the plaintiff received a warning and knew of the relevant risks, but proceeded to use the consumer product or medication and had an adverse reaction. In Centocor, Inc. v. Hamilton, 372 S.W.3d 140 (Tex. 2012), the Texas Supreme Court addressed this very issue. In Centocor, the plaintiff was warned by the prescriber that she might have the exact adverse reaction that she indeed suffered. The prescriber also informed the plaintiff of other potential side effects from using the medication. Despite the prescriber’s warnings, the plaintiff voluntarily decided to continue using the prescription medication and the prescriber continued to provide the medication. The court correctly reasoned that the plaintiff’s actions show that, even if the manufacturer provided a different warning to the prescriber, the plaintiff would likely have continued taking the medication, despite the stated risks. Another relevant example can be found in Broussard v. Procter & Gamble Co., 517 F.3d 767 (5th Cir. 2008). In this case, the plaintiff ignored a set of extensive warnings concerning the use of a medical device. The court reasoned that when a plaintiff uses a product or device in a manner that is in direct contravention to the express warnings provided by the manufacturer, the plaintiff would not prevail in their product liability lawsuit. The court referenced only one narrow exception to this general rule and that is if the plaintiff can introduce evidence showing the product manufacturer had a reason to know that the warnings provided would be ineffectual in preventing a foreseeable harm. As you can see, just because a plaintiff files a lawsuit alleging injuries from a product does not mean the manufacturer, distributor, or seller is liable for the alleged harms. When a plaintiff’s own conduct caused the harm, your defense attorney needs to drill down on what exactly happened and seek to challenge the viability of the plaintiff’s lawsuit. There is no doubt about it – manufacturers of medical devices have a target on their back. They are forced to defend themselves in court on a regular basis. That is where we can help. Our team of experienced medical device and drug defense attorneys have decades of experience defending companies in court. For a confidential consultation with an experienced medical device attorney, contact Colvin, Saenz, Rodriguez & Kennamer L.L.P. today.